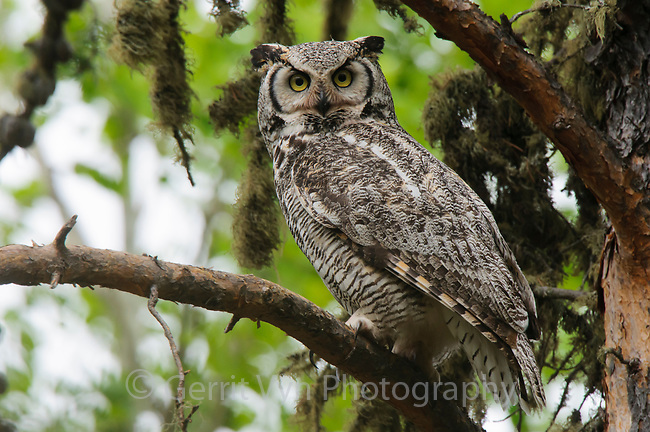 Pale adult Great Horned Owl (Bubo virginianus). Cold Lake Provincial Park, Alberta, Canada. May.